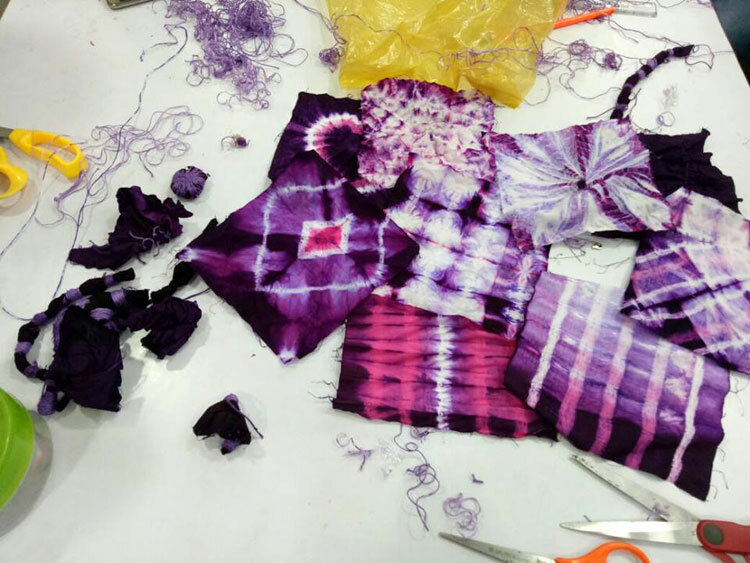 Dyeing textiles is a process in which color is transferred to a finished textile or textile material (like fibers and yarns) to add permanent and long-lasting color. 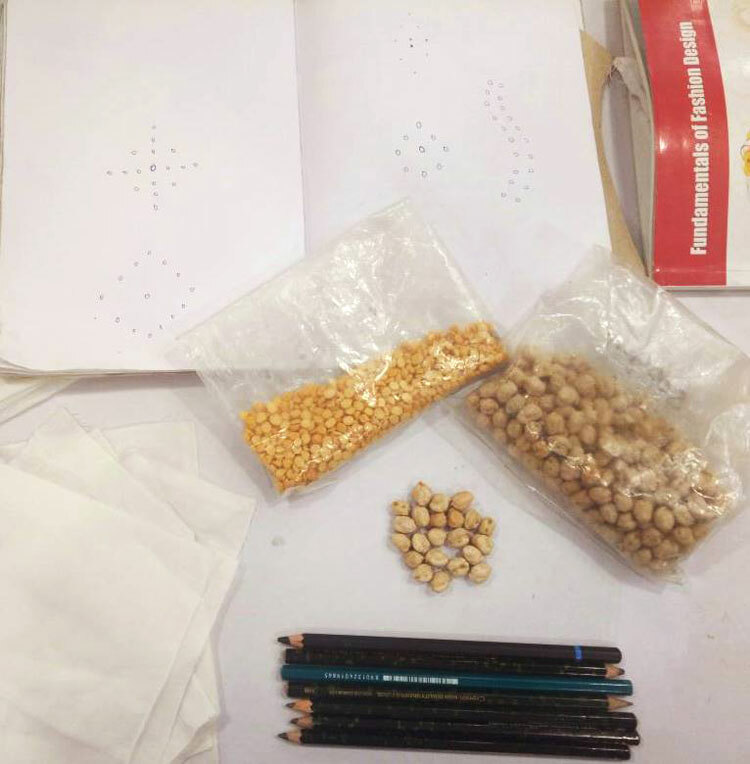 It can be done by hand or by machine. 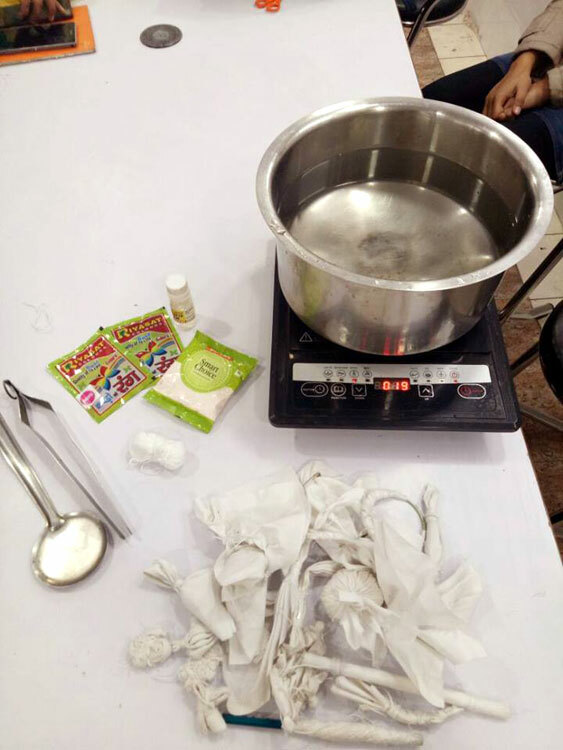 Dyes can come as powders, crystals, pastes or liquid dispersion, and they dissolve completely in an aqueous solution like water. 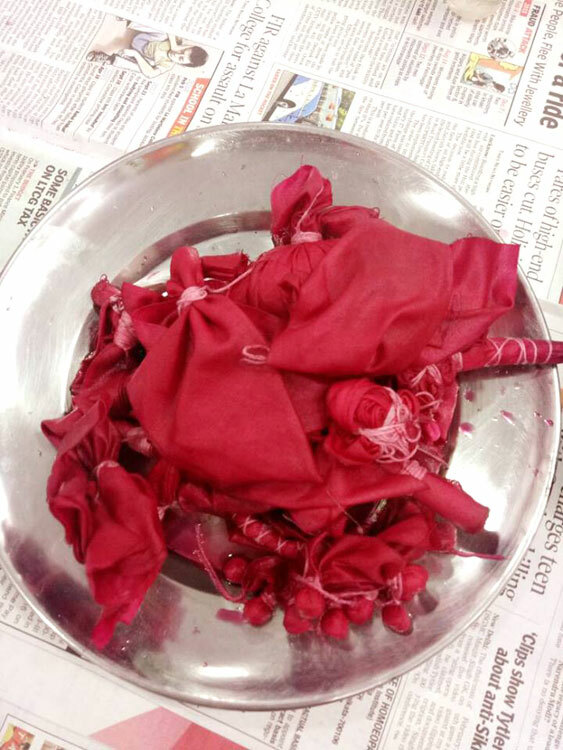 When the textile and the dye come into contact, the textile is completely saturated by the dye and colored. 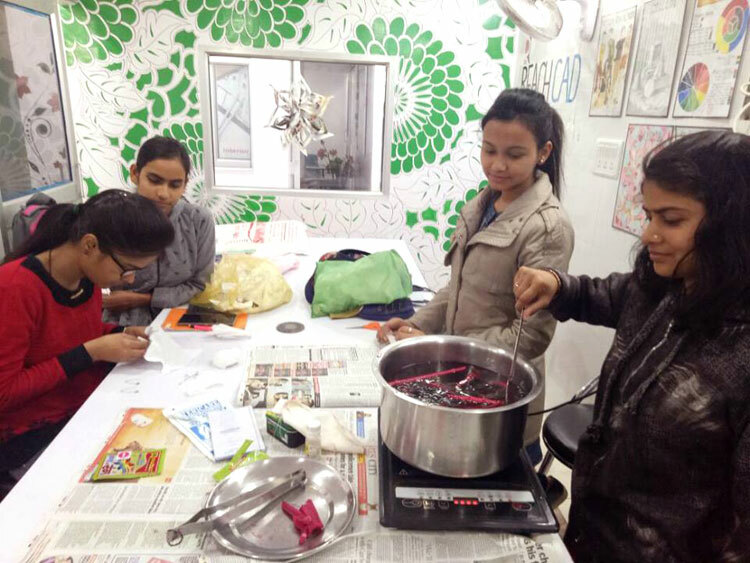 These were the lessons taught to the students of DreamZone Kapoorthala, Lucknow at the Tie-and-Dye workshop held on February 12th, 2018 in favor of our Fashion Design students. 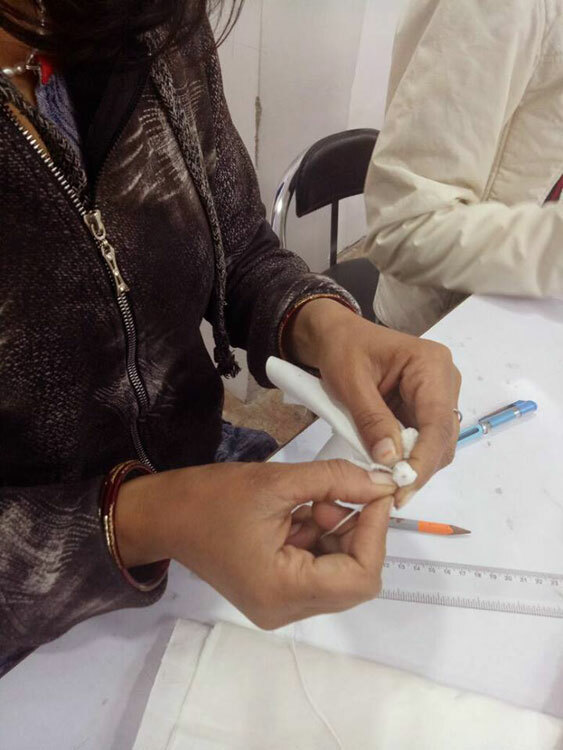 The workshop gave them insights on Textile Science. 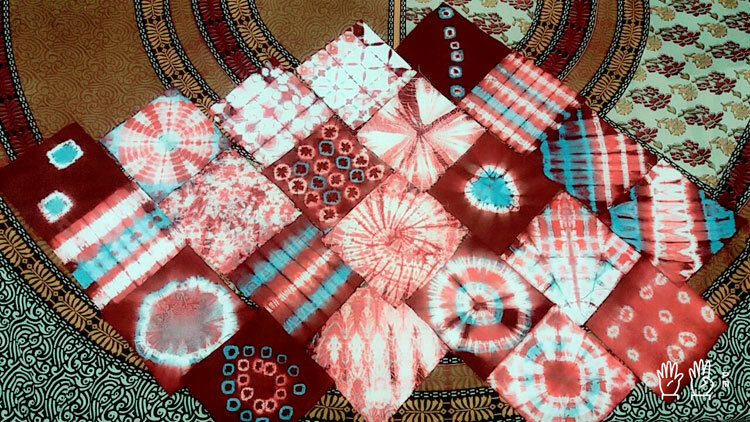 Cotton fabric swatches were tied with nylon threads in different ways to obtain various prints after hot water dyeing process. Swatches were re-tied n re-dyed to get tri-colour effect. 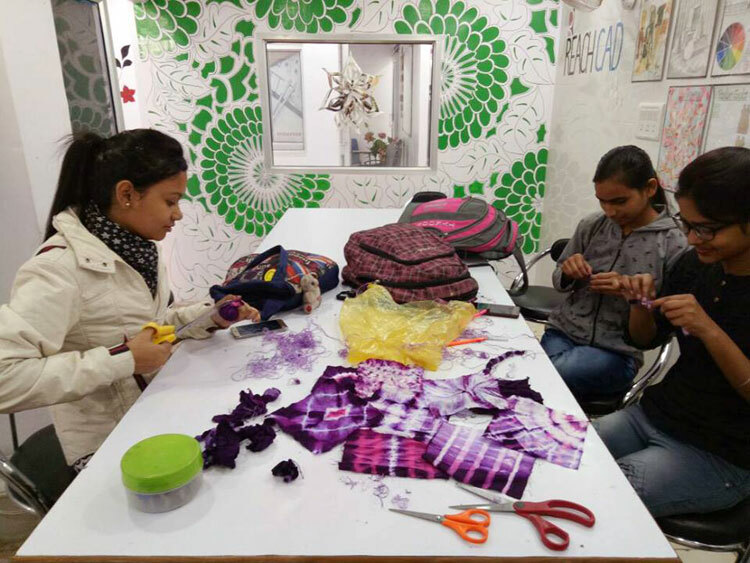 Students actively participated in the activity with a lot of enthusiasm and urge to learn something new that has great practical usage in the textile industry.